In what may be her best review of 2014, The Gazette critic Sarah Musgrave swoons over Sumac, the new cafeteria-style Middle Eastern restaurant from chef Raquel Zagury and David Bloom. Launched at the start of October, it’s already banging; from our counter-height table, we felt the cold emanating off the jackets of the many people in line. 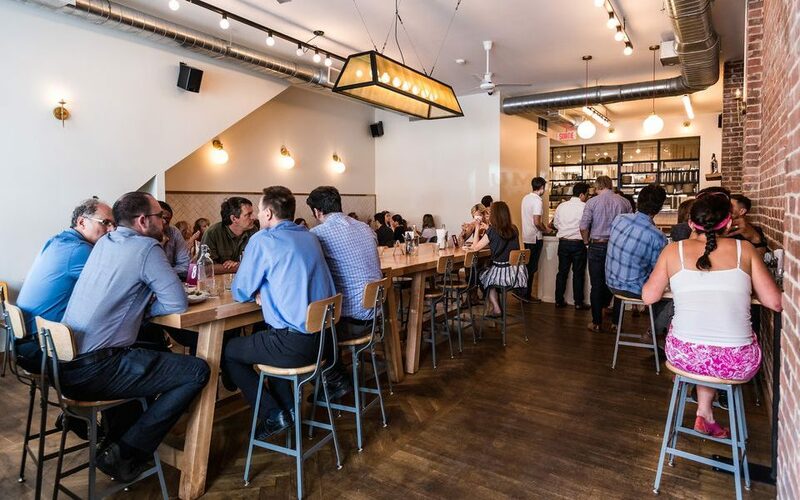 Musgrave writes that the restaurant is a welcome departure from the usual shawarma and hummus hawkers in the city. 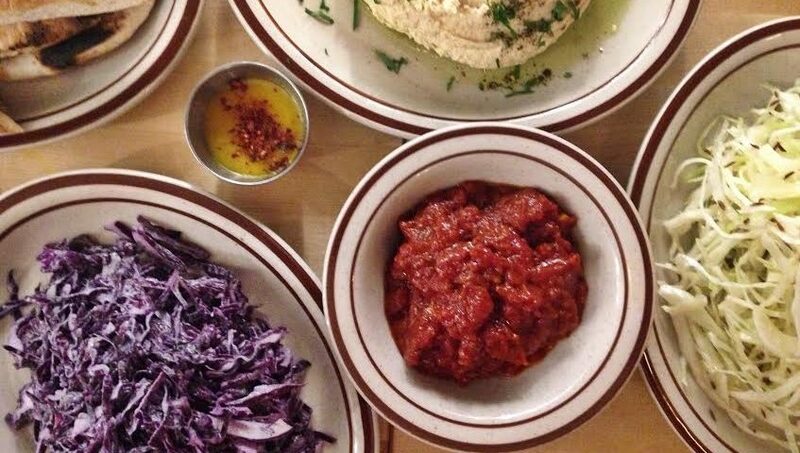 From pita to salads, dips to drinks, Sumac is all about solid bang-for-your-buck details. And then there is Zagury’s falafel. The rave ends with this killer endorsement. 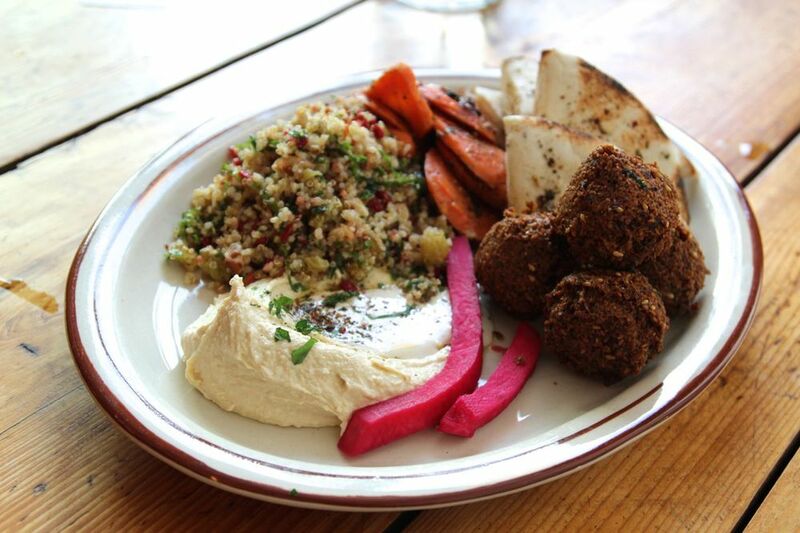 There isn’t really a place in town doing Middle Eastern quite this way. I’ll hit up Chez Benny and Panthère Verte for falafel and I’m a fan of Le Petit Alep, Daou and Damas. 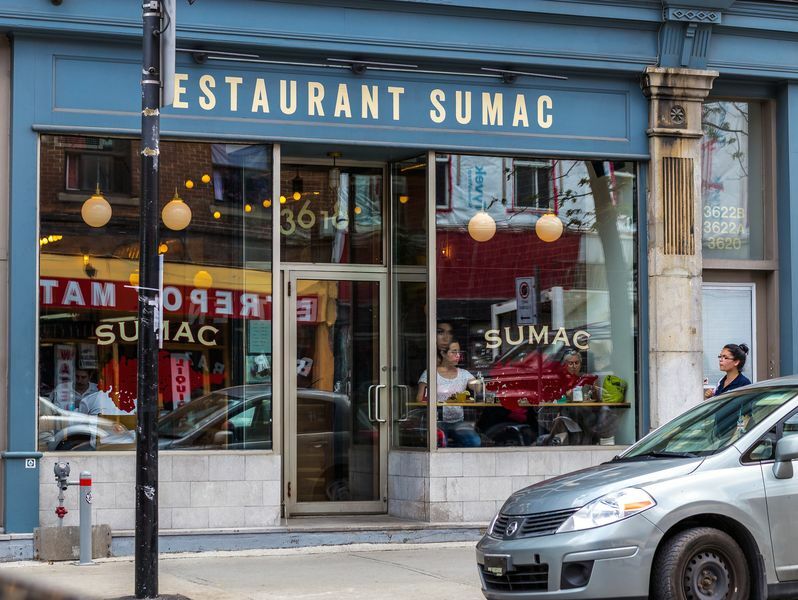 But Sumac feels fresh and modern, vegetarian egalitarian, and the many mix-and-match options make for a new old way of dining.